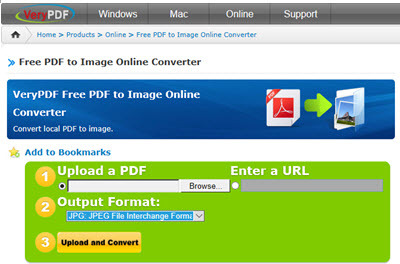 This online PDF to GIF converter allows you to convert PDF to GIF online for free. The conversion process is quite easy and fast. Simply upload your PDF file and then select GIF from the conversion list. After completion of the conversion, you may download the converted document file on-the-spot or by email. High-quality GIFs files after conversion. Its design is very sleek. It's free to convert PDF to GIF. You cannot convert several files in one go. Multiple file formats not supported. It's an online tool that does not have many complexities and comes with a clean and straight-forward process that requires just a few clicks to get your GIF ready. You may be required to create an account and log in to retrieve your GIF, but it's all fast and safe. All in all, you can easily convert PDF to GIF online free. Conversion of PDF to GIF is simple. One must have an account to get the GIF. Too many ads displaying on the website. HiPDF is an online PDF to GIF converter that has many glamorous features. This PDF to GIF image converter is exquisite and has a fast and simple interface. You can convert numerous PDF to GIF at once. Secure online file conversions of PDF to GIF. Simple, clean and easy to use and very effective. After conversion, the GIFs retain clarity of image from the PDF. Can’t use this tool to edit PDF and other file formats. A little work around knowledge is needed to use this tool. 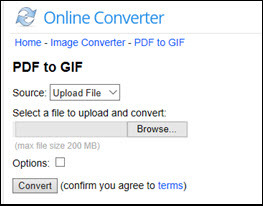 Online convert PDF to GIF has never been so simple. 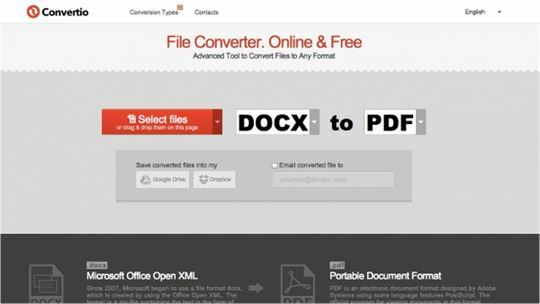 With ACONVERT.COM, you can use the quick convert option to convert PDF to GIF online in a few minutes. Myriad of options to convert PDF to GIF online free. Instantly get the GIF you create without so many workarounds. Automatic and prompt PDF to GIF conversion. A bit intricate to the first time user. Not fit for bright-colored images. Now to literally prove to you how simple creating a GIF is, try using this online PDF to GIF converter. Online convert PDF to GIF is remarkable. Not much needs to be said try it yourself and you will be surprised. You can convert PDF files to a wide range of formats. Free and no accounts are needed to convert PDF to GIF. It produces brilliant GIFs after conversion. Convertio presents you with a number of options with which you can not only convert to GIF format but to other images, document and presentation format as well. For instance, you can convert to JPEG or even HTML. Highly reliable and very simple to use. You can convert multiple PDF pages. Safe online PDF to GIF converter. Conversion speed varies depending on the internet speed. A user account is needed to access the interface. Converting PDF to GIF With EZGIF.COM comes with even more amazing perks such as GIF optimizer, add effects and so much more. To prove this, you better try it yourself. Conversion is quick and it’s an effective tool. 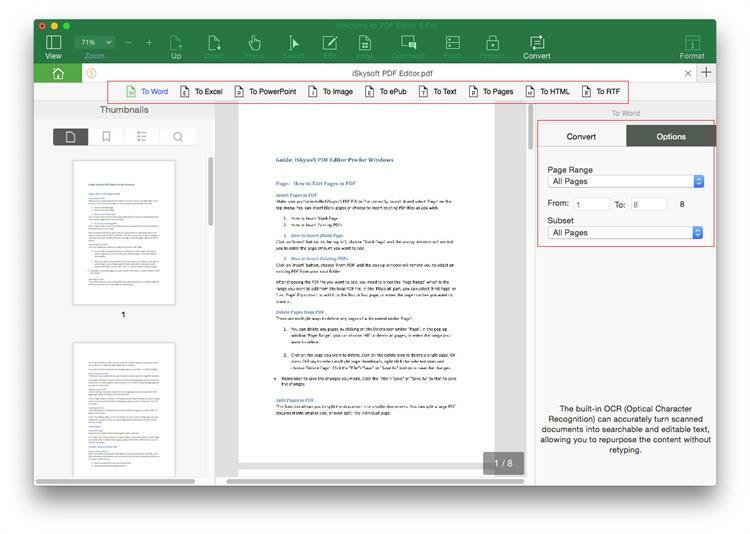 More diverse options for editing PDF including PDF to GIF converter online. Requires a steady internet connection. 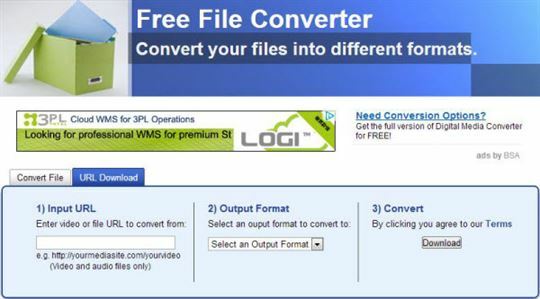 VeryPDF is a converter that assists you to convert PDF to GIF online. 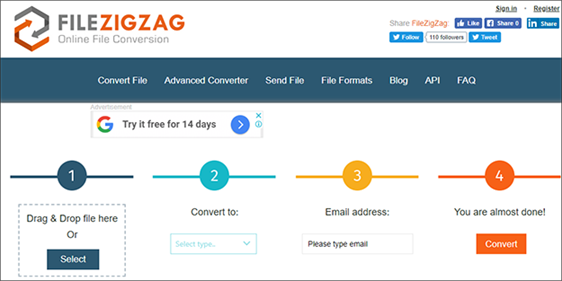 With this tool, simply upload the file you want to convert or insert the URL of the file and hit the convert button. The high-performance rate of PDF to GIF conversion. Intensely vivid image files may not retain their quality after conversion. Certain version requires purchase, especially if downloading the software. Well if all the above do not suit or interest you, here is one that has actually a very clear interface. It's an online free tool that contains information on the PDF and GIF file extensions. You have the option to directly download the GIF via the website or have it sent to your mail. 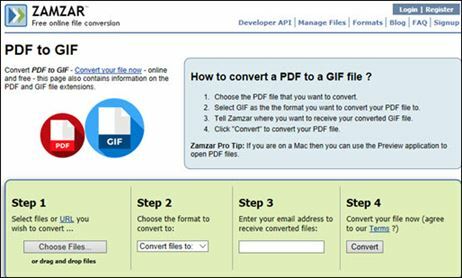 Free and secure online PDF to GIF converter. You need a user account to enjoy full privileges especially converting PDF to GIF. Email Address is a must. Conversion of Long files takes time. Online-Convert.com is the best choice if speed matters to you. It gives you the platform to convert your PDF to GIF online in the shortest possible time. It's expressly a PDF to GIF image converter online tool. Secure online PDF to GIF converter. Instinctive and rapid PDF to GIF conversion. Batch conversion and ORC features are not available for free. Not suitable to convert high-quality image PDFs. The ability of the above online tools to convert your PDF to GIF is a wonderful thing, but there are many limitations especially when using such online tools. Thus, the surest way to overcome this is to get the best software for the job. Well, it comes in the form of iSkysoft PDF Editor 6 Professional for Mac (or iSkysoft PDF Editor 6 Professional for Windows), which is the best PDF editor software to meet your requirements with several PDF editing options including PDF to GIF conversion. Besides that, you can use it to convert files to any format you please with ease. It can edit and convert scanned PDF, Batch OCR (Optical Character Recognition) of multiple scanned PDF files as well can perform data extraction, batch PDF conversion, and perform many more such operations. In other words, we can say that it is a powerful PDF editor to convert PDF to GIF and yet an affordable to all. Easily edit PDF texts, images, pages. 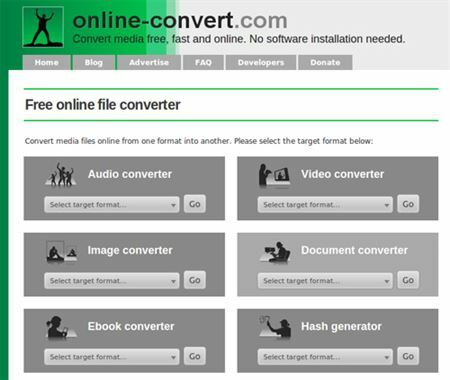 Convert PDF to different formats such as Word, PPT, Excel, Pages, RTF, EPUB, images, HTML, etc. 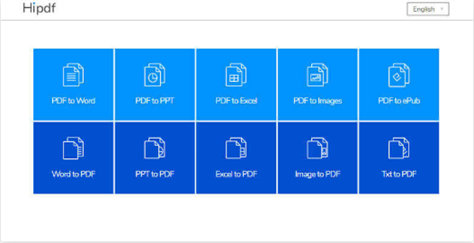 Create PDF from existing PDF, Web pages, images, and text files. Merge an assortment of PDF files into a single PDF or split a large PDF into smaller ones. Can fill out PDF forms as well as can create forms from templates. Encrypt PDF with a password and add watermark. Redact PDF to remove sensitive texts, images, and pages from PDF documents.